Anba Benyamin, Bishop of Menoufiya and member of the Coptic Orthodox Church’s papal nomination committee, has said that the committee had until Friday received 15 appeals in closed envelopes contesting the candidacy of a number of 17 the candidates for the papacy. The closing date for handing appeals is Sunday 30 September. The Coptic Church declared a three-day fast starting next Monday, in order to pray for divine help before vetting the appeals. Once the fast is over on Thursday 4 October the nomination committee, over which the acting patriarch Anba Pachomeus presides, will head to Anba Bishoi monastery in Wadi Natroun in the Western Desert for retreat during which the 17 candidates will be short-listed to seven or five. Among these, three will be elected by a Coptic Orthodox electoral body to undergo a draw at the altar during Holy Mass to name the new pope. The appeals, Anba Benyamin said, will be checked in complete secrecy. The reasons for the exclusion of any candidate will be not be made public, in order to preserve their dignity. Along with the appeals which, according to Anba Benyamin, will probably be insufficient to complete the short-listing, a vetting process will be applied to the 17 candidates. Among the vetting criteria will be the education of each candidate, administrative competence, preaching capability, tranquillity or calmness under stress, how close the candidate is to the Coptic public, his thought and spiritual service before and after ordination. 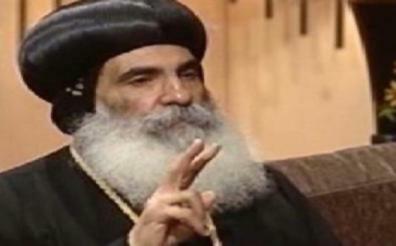 The papal seat of the Coptic Orthodox Church has been vacant since last March when Pope Shenouda III passed away.